Sussan Lari Architect is an architectural firm dedicated to personalized, high quality architecture, interior architecture and interior design. Our firm's work covers the entire range of design, including architecture, interior architecture, garden design, cabinetry, furniture and furnishings. Based in the village of Roslyn on Long Island, we are licensed to practice in the greater New York tri-state area. Each new client offers us a fresh and unique perspective, full of promise. It is this new relationship that inspires us to produce a distinctive design for your home. We act as both your partner and your agent from start to finish. This interactive process begins with open communication and careful listening, followed by the inclusion of specialist and consultants, each responsible for a specific task. Whether we are securing approval from an architectural review committee, planning board, or board of appeals, coordinating the work of other consultants, or conducting on-site observations, we take as much pride in the process as we do in the finished product. Designing personalized homes demands a concerted commitment to and from each of our clients for a substantial period of time. As a result, we offer not only an end product, but also firmed partnership throughout the process. 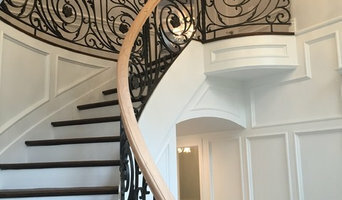 Delta Trimming is a full-service design & build firm, specializing in residential renovations and home improvement, including kitchen & bath renovations, exterior work, additions, and high quality custom wood work. 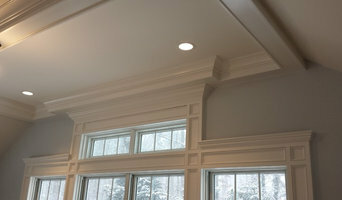 We do custom wainscoting, built-ins, mantels, libraries, ceilings, archways, moldings, decorative columns, and much more. 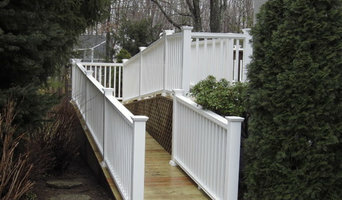 With Delta Trimming, you can be assured of quality construction and an enjoyable building experience. We service the New York Tri-State area and are privately owned, allowing us to work with you directly to make your vision a reality. We can convert your existing residence into a gorgeous new living space and renovate your home to your style, specifications, and budget — all while working closely with architects and designers. We are committed to excellence in all that we do by providing quality construction and customer satisfaction on each and every project. Our distinctive, full-service remodeling approach focuses on serving our client from design through installation.